The MaxiCash Integration Platform enables Merchants to integrate with the MaxiCash platform in order to receive payments through their mobile apps or their websites. The API uses JSON to interact with .Net client or open source platforms like PHP. You will receive a Merchant Form to complete in order to provide your business details and preffered Cashout Wallet or Banking Details. The MaxiCash Platform has 2 Currencies, The maxiDollar and the maxiRand. The maxiDollar has a 1 to 1 Exchange Rate to the American USD, and is the mostly used currency by our Merchant Network. Merchants in South Africa use the maxiRand currency which has a 1 to 1 Exchange Rate to the South African ZAR. You can integrate to the MaxiCash API and MaxiCash Gateway using the Endpoints below for Sandbox and Live Accounts. 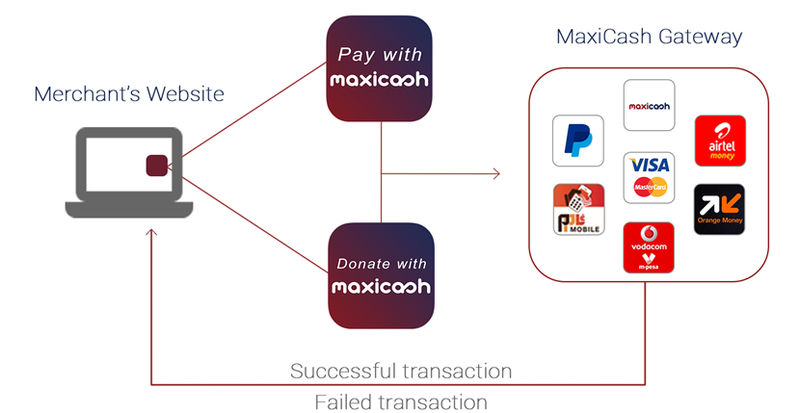 The MaxiCash Gateway is mainly designed to enable easy and quick Website Integration to the MaxiCash Platform. 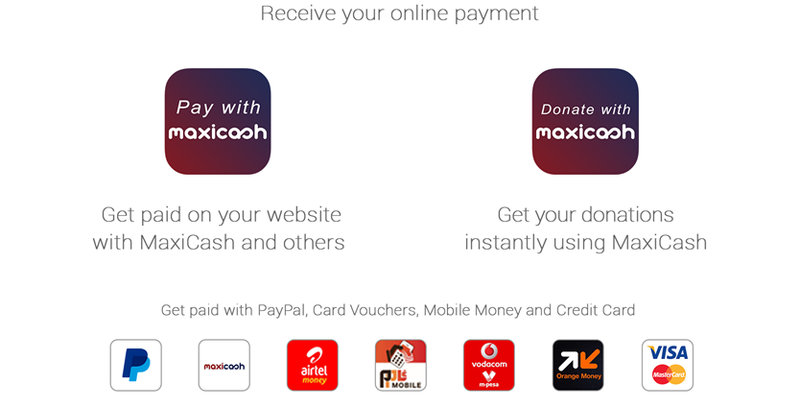 With the MaxiCash Gateway you can receive payment from MaxiCash Users. The Gateway allows the Merchant to also receive payments from non-MaxiCash users using Credit Cards, Paypal, Pepele Mobile and Others. The MaxiCash API is mainly designed to enable Mobile App and Complex Webiste Integrations. It only enables payments from MaxiCash Users. The MaxiCash Users completes the payment using the MaxiCash Moble App from an In-App Notification or by providing an OTP (One Time Pin) SMS sent to the MaxiCash Mobile Number used at registration. The MaxiCash Gateway enables the Merchant to Collect Payment into their MaxiCash account using multiple payment channels such as Credit Cards, MaxiCash, Paypal, Mobile Money and Mobile Banking. Amount expected for the transaction. This amount will be reloaded in your MaxiCash Account. This parameter is compulsory. Please note that the amounts are expected in Cents. Meaning that if you would like to process a payment of 1 USD, you must send an amount of 100. Currency of the transaction. This parameter is compulsory. Generally takes in 4 values: USD, ZAR, maxiRand or maxiDollar. The Merchant ID authenticates the merchant on the platform This parameter is compulsory. The Merchant Password works in conjunction with the MerchantID to authenticate the merchant on the platform This parameter is compulsory. Allows you to specify a language on the gateway.This parameter is optional. Currently only English (en) and French (fr) are supported. When not specified, the system defaults to English. This is a transaction reference used by the merchant. This parameter is compulsory. This is the merchant web page that the payer will be redirected to when his payment succeeds. This parameter is compulsory. The MaxiCash Gateway will add a few query string parameters described below. This is the merchant web page that the payer will be redirected to in case the payment fails. MaxiCash also defaults to this parameter in case the cancelurl is not specified. This parameter is compulsory. The MaxiCash Gateway will add a few query string parameters described below. This parameter is used to notify the merchant website of the status of the transaction before the payer is redirected to the accepturl, declineurl or failureurl This parameter is optional but recommended. The MaxiCash Gateway will add a few query string parameters described below. The MaxiCash API enables the Merchant to Collect Payment into their MaxiCash account from a MaxiCash User . To integrate with mobile apps, you will need to use the PayLaterSynch method to begin and the CompletePayLater to finalize the payment. When the PayLaterSynch is successful, the user will receive a transaction PIN by SMS that he will need to give you in order to finalize the payment. The PayLaterSynch method is used to initiate a payment for mobile apps. The method receives the transaction amount, the payment currency, and the payer MaxiCash phone number. The method returns a confirmation message on whether the call was successful or not and a Payment ID. Please note that the payment amounts must be sent in Cents. This method allows you to complete a payment for a mobile app. The method receives a payment ID and a PIN and returns a confirmation of whether the payment was successful or not. This method is used to process a Synchronous MaxiCash payment from a web site. The method receives a currency, an amount, a telephone number (MaxiCash), a payment method, a reference and the language. The User will receive an In-App Notification in the MaxiCash Mobile App, and has 60 seconds to Approve the Payment. During a synchronous payment, the API waits for up to 60 seconds before the transaction times out. Step 2 - Check the Status of the Payment by pinging the PayNowStatus Method at regular intervals. If you use the PayAsynch method, you will need to use the PayNowStatus method to verify whether the user has completed his transaction or not. Please provide an appropriate screen while your website checks for the transaction status. This method is used to process an Asynchronous MaxiCash payment from a Web site or Mobile App. The method receives a currency, an amount, a telephone number (MaxiCash), a payment method, a reference and the language. The method returns a success status and a Payment ID to enable you to verify the progress of the transaction. We recommend using this method only if you do not want to use the MaxiCash Gateway and want to display a custom interface to your customers. Please note that for all currencies except ‘FC’ receive the amounts in Cents. This method is used to verify the status of a Synchronous MaxiCash or Pepele Mobile payment on a web site. The method receives a payment method, a payment ID and the language (optional). The method returns the merchant success or failure URL depending on whether the user has successfully completed the payment or not. 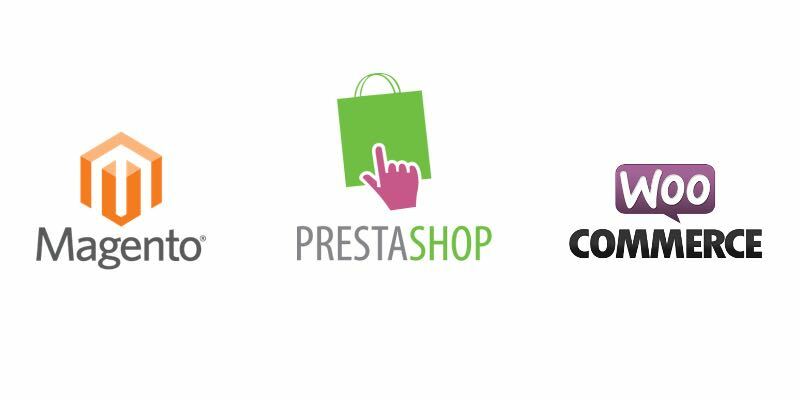 MaxiCash provides eCommerce Plugins to ease integration to the Platform. Below is the list of available plugins. Please contact us at info@maxicashapp.com to get these plugins setup on your website.